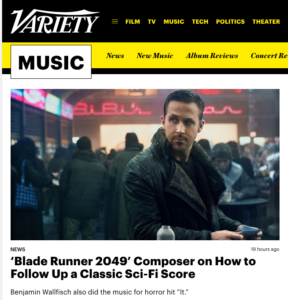 With Blade Runner 2049 opening this weekend, and the colossal box-office success of It, I thought it was the perfect moment to talk at length with composer Benjamin Wallfisch about both scores — which, incidentally, couldn’t be farther apart in terms of style and execution. 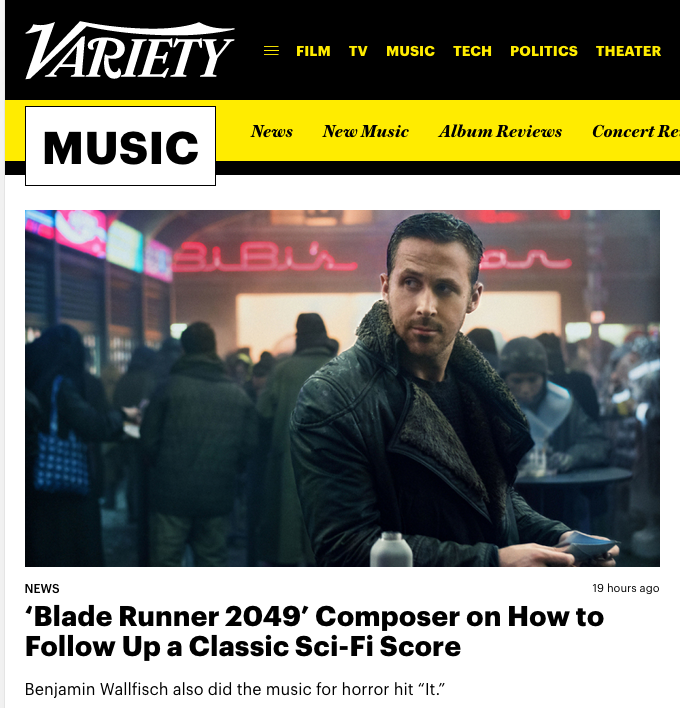 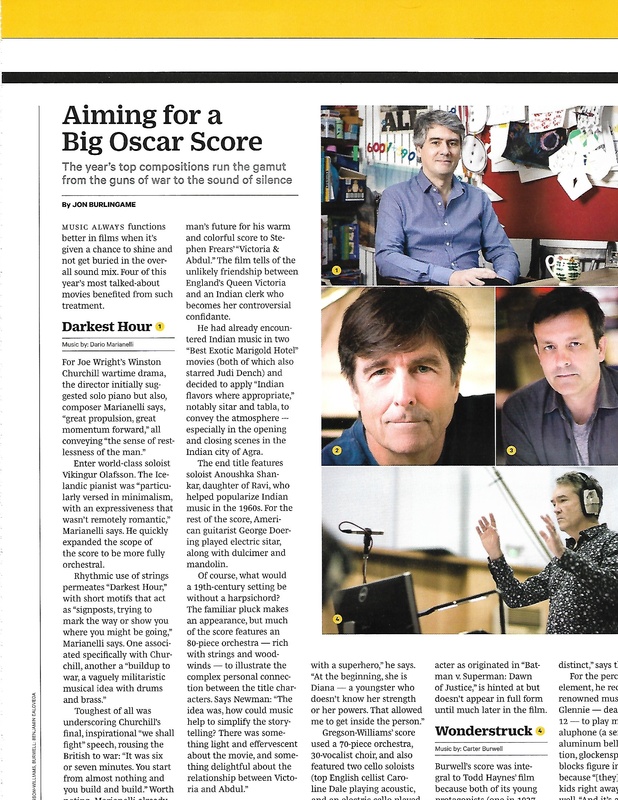 Wallfisch collaborated with Hans Zimmer on the all-electronic score for Blade Runner, and in this interview for Variety he discusses their intent to remind us of the sound of the original (composed in 1982 by Vangelis) while also making it fresh for a new story set 30 years later. 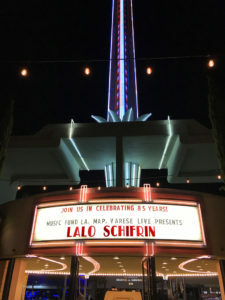 Wallfisch also discusses his complex and frightening symphonic score for the Stephen King thriller It, which must rank among the finest orchestral scores of the year. This entry was posted in Composers, Film Music, Interviews and tagged Benjamin Wallfisch, Blade Runner 2049, Blade Runner soundtrack, Hans Zimmer, It, Variety on October 7, 2017 by Jon Burlingame.